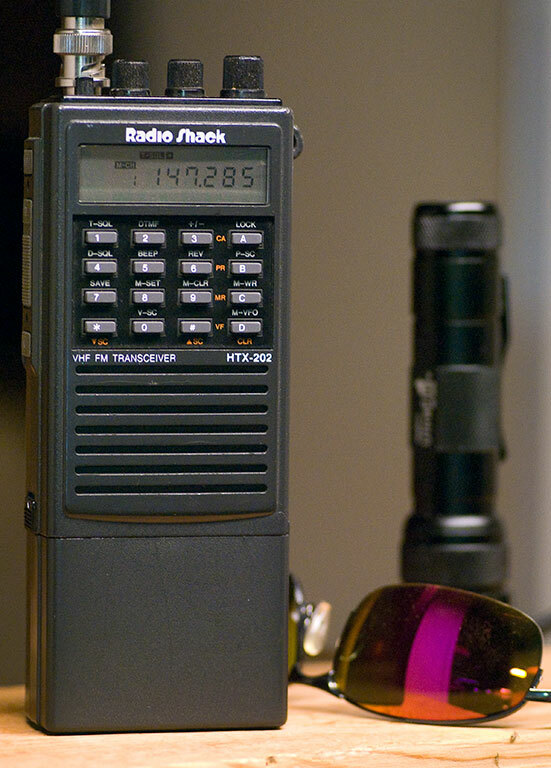 This is my Radio Shack HTX-202 VHF handheld amateur radio. Owners of the venerable Radio Shack HTX-202 VHF handheld amateur radio know, if they have owned the radio long enough, that it will eventually give them the dreaded Er-1 error when they turn it on. 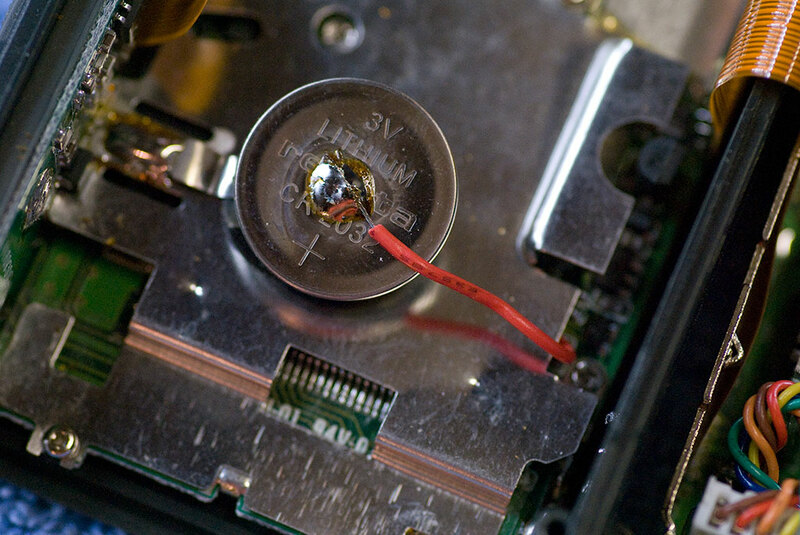 This means that it is time again to replace the memory retention battery inside the radio. As aggravating as it is to have to replace a part that shouldn’t have been installed so inconveniently in the first place, it’s worth doing. I won’t go into exact details about how to do it, since there are plenty of step-by-step tutorials on the web, but I will say that I’ve done it enough in the 21 years I have owned this excellent radio that it is easy and takes about 10 minutes. 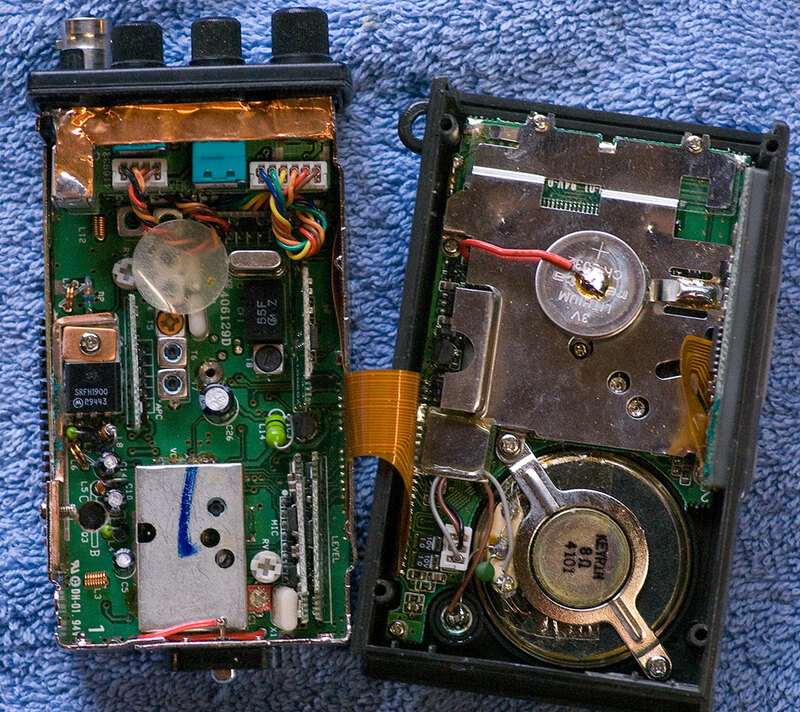 Removing 10 screws allows the radio to be opened into halves. 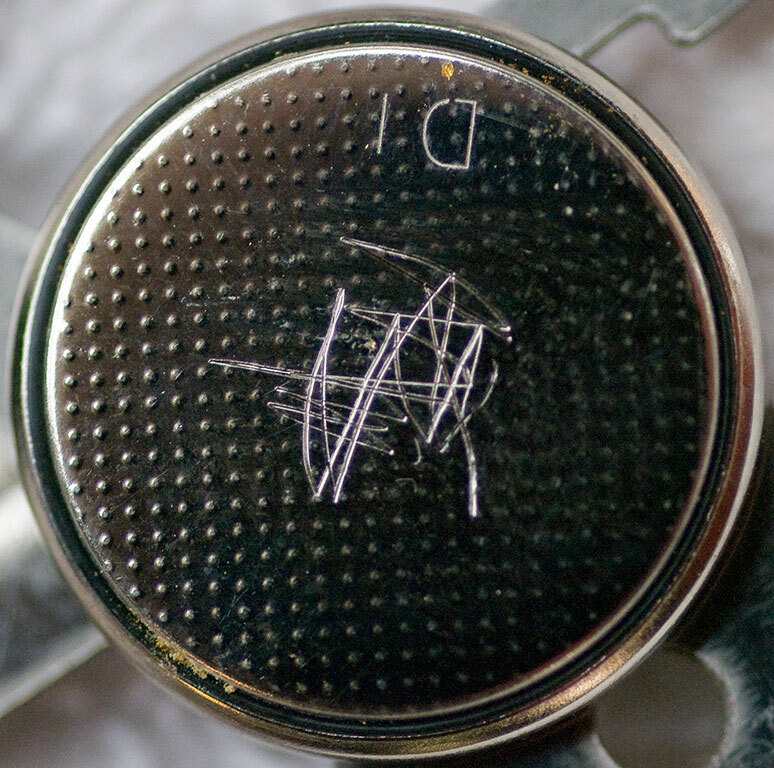 This is the dead CR-2032 button battery that I soldered in about three years ago. 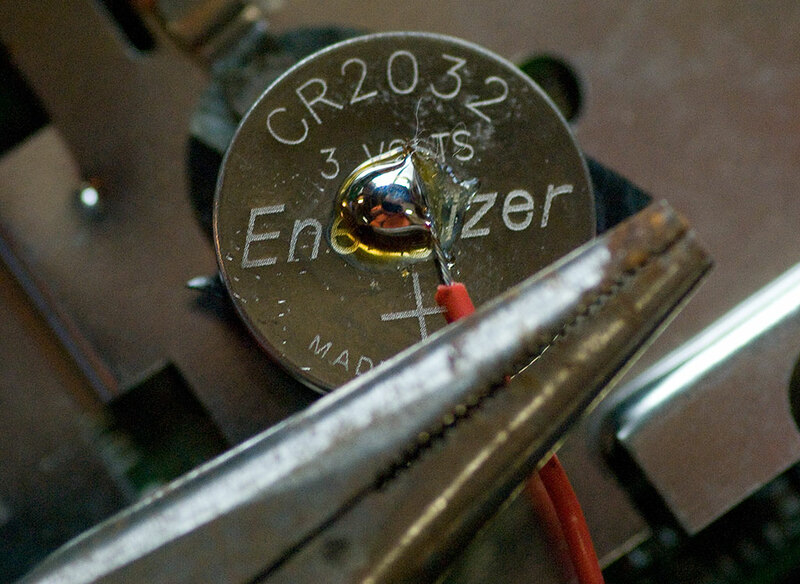 Scoring the surface of the new button cell will help the solder cling to it. 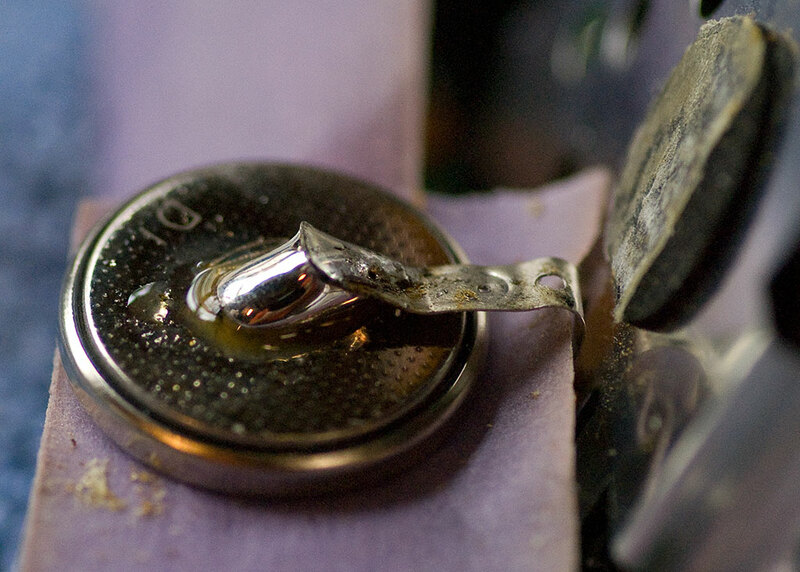 The first solder of the new battery is the underside. You can see I’ve put a small strip of painter’s masking tape under it in case I dropped any hot solder. Finally, the top side of the battery gets soldered to the red wire. I tried taping and clamping it to hold it against the battery, but in the end it was easier just to put the weigh of a needle-nosed pliers on it. After the new battery was soldered in, I reassembled the radio, tested it, and re-programmed the frequencies, since resetting the Er-1 error means erasing everything.